This holiday season, USA Cosmetics’ President, Miko Kuo, has donated an incredible gift to the Frisco Family Services organization, a reputable nonprofit organization that benefits those in need in the locality of USA Cosmetics, Inc. and executives. On behalf of USA Cosmetics, more than $30k of beauty products have been neatly packed and shipped out with care, to help boost the spirits of families in need. 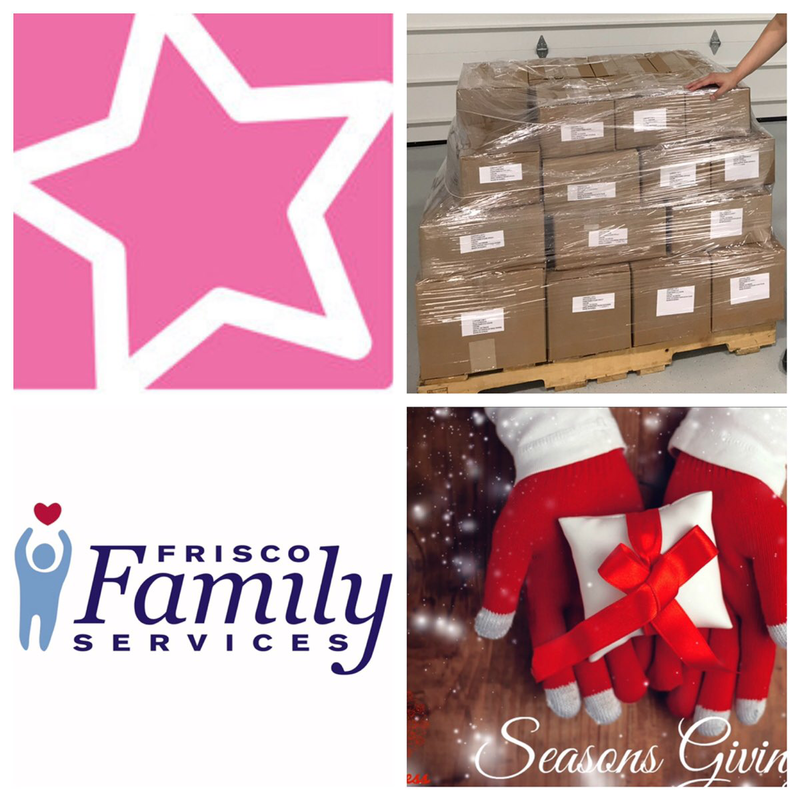 Frisco Family Services was created 24 years ago in 1994 by local Frisco residents to help members of the Frisco area when faced with challenges of hunger, homelessness and other dire dilemmas with a mission of improving their quality of life and assisting them in obtaining self-sufficiency. Just in the 2017 to 2018 fiscal year, FFS was able to provide more than $1.1 million in support to more than 3,400 individuals, as well as provided many individuals meals, school supplies and more. Kuo chose a generous assortment of facial cleansers, creams, exfoliators, facial masks, hair treatments and more to help families in need. Although not traditional items in which most people may think of donating, USA Cosmetics’ employees believe that feeling good about yourself and building self-confidence can be a very powerful tool in life. “These products are easy to use, easy to understand, and provide a quick and easy solution for people who we share with to use and feel good during the holidays,” says Kuo. By giving so many suffering families a mini pep in their step with a pallet full of results driven K-Beauty products, we hope to help build morale in these individuals to help themselves out of whatever position they may be in. From our family at USA Cosmetics to yours, we wish you all a very happy holiday season!